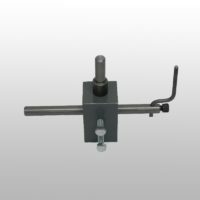 Sharpen both the short or long wood chisels with great precision, no guessing. 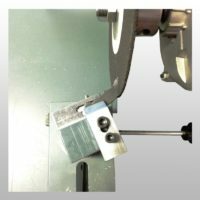 This fixture is a big improvement over what you are now using for a saw cup holder, and is very easy to work with. 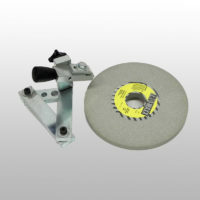 You can face and top grind saw blades with arbor holes of 5/8" up to 3-1/4" diameter. 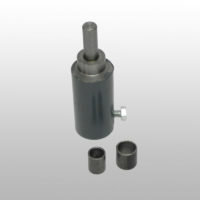 Sharpen carbide and steel Mason drill bits from 1/4" to 3'" diameter. 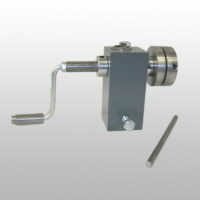 Quick set up with no guesswork and no chatter. 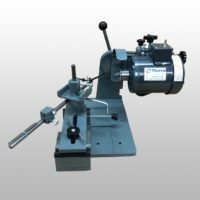 Flat grind or hollow grind carbide and steel jointer, planer and chipper knives to 20″ in length. 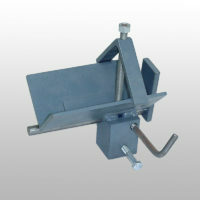 This fixture works with Foley Belsaw 357, 367, and 368 grinders. 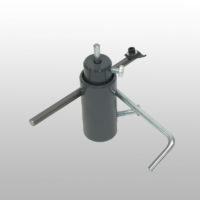 With this attachment you can sharpen both the hollow face and outer surface of the green/red tooth. 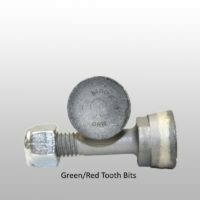 The green/red teeth are circular and can be turned three times for new cutting surfaces. 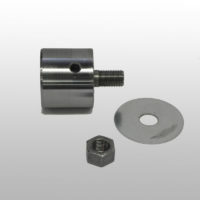 The Foley 310-16 adaptor conversion plug transforms the 5/8" plug current supplied on the Foley 310-16 to a 1" plug. 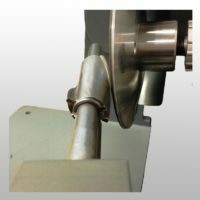 If your Foley machine is supplied with a 5/8" plug, the conversion plug is required to use any of the Thorvie tool fixtures. 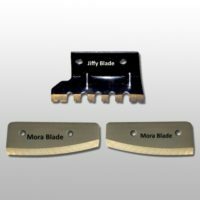 Sharpen both straight and mulching lawn mower blades. 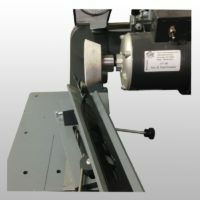 If you get raised panel cutters that you can not sharpen because the cutter hits the motor when you try to grind, this arbor extension will correct that problem on the Foley Belsaw motors, and allow you to sharpen that cutter, because it extends the wheel farther away from the motor. 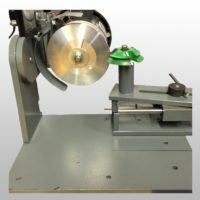 Precision sharpen Mora, Jiffy, and Eskimo ice auger blades. 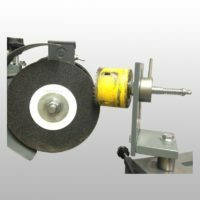 With this attachment you can sharpen both the top radius and face of the yellow jacket stump grinding teeth. 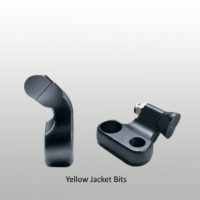 The Yellow Jacket teeth are 15/16" wide and have two cutter heads. 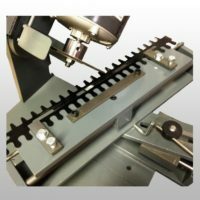 Precision sharpen StrikeMaster Lazer ice auger blades. 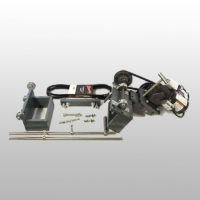 Quick set up with no guesswork and no chatter. 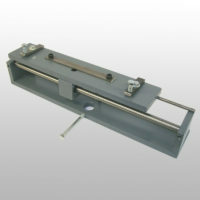 Flat grind or hollow grind carbide and steel jointer, planer and chipper knives to 20" in length. 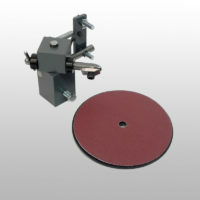 Sharpen carbide and steel saw blades up to 30" in diameter. 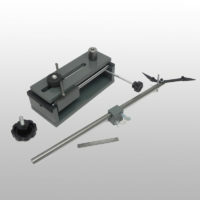 Set up in a matter of minutes to accurately sharpen most gas and electric hedge trimmer blades. 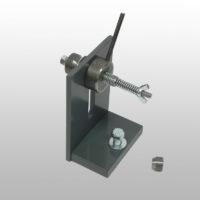 With this attachment you can sharpen both the top radius and face of the Sandvik stump grinding teeth. 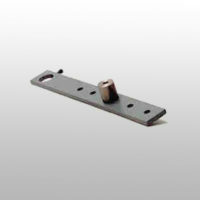 These bits are 7/8" wide with a flat top and rounded corners leading into the sides of the tooth. 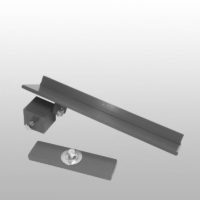 With this attachment you can sharpen both the top radius and face of stump grinding teeth of all the popular stump grinding machines. 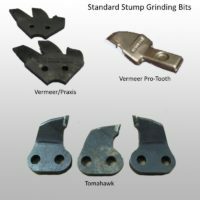 The standard stump grinding teeth are 13/16" wide with one cutter head. 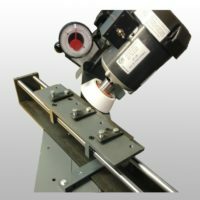 Precision sharpen Hole saws with this fixture. 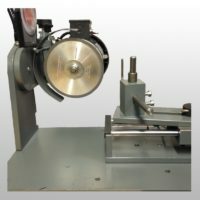 Set up and sharpen in a matter of minutes. 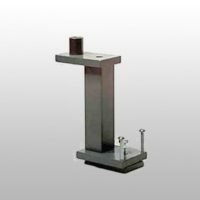 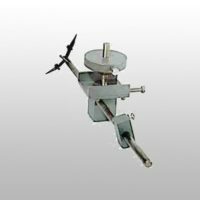 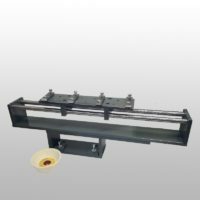 Once you purchase this fixture stand, you can use it with all the Thorvie International grinding fixtures on the Foley grinder model number 357, 367, and 368. 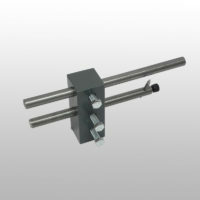 The fixtures mount directly to the 1" plug on top of the fixture stand. 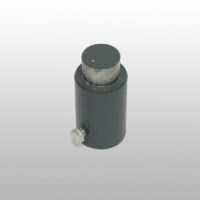 This replacement motor is the same motor supplied on the Thorvie AV-40 saw and tool sharpening machine. 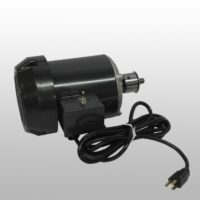 This U.S. motor is a heavy duty 1/3 hp, enclosed 110 volt motor. 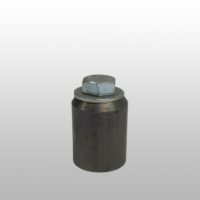 The motor maintains a wheel RPM of 3450 – something essential when grinding carbide tooling. 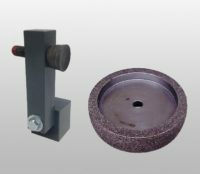 Convert your carbide saw grinder to grind all types of carbide and steel router bits along with forstner bits. 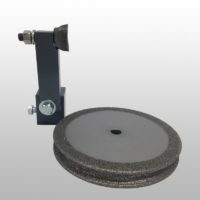 This unit will save you set up time, increase the quality of your work, productivity, value of the Foley 310, and extend wheel life. 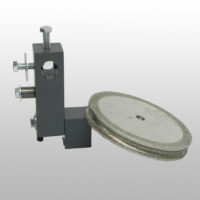 You can face, top and side grind saw blades up to 28'' in diameter accurately. 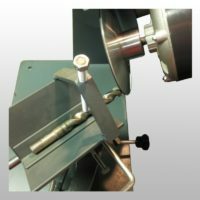 Sharpen both the short or long wood chisels with straight or hollow grind to great precision, no guessing. 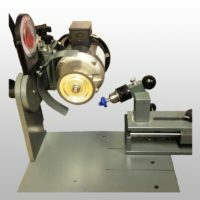 This fixture works with Foley Belsaw 357, 367, and 368 grinders. 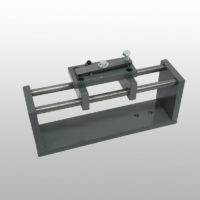 Sharpen all types of raised panel cutters and shaper cutters, Door Lipped, Detailed, etc. 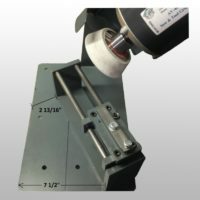 Whether you are sharpening a 3" or a 36" knife, you can adjust the travel according to the length of the knife you are sharpening even when the carriage is in motion. 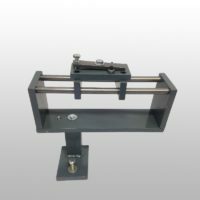 It takes but seconds to set the length of travel. 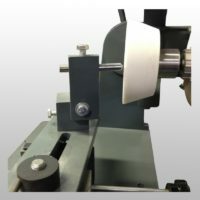 Sharpen both steel and carbide spiral planer heads. 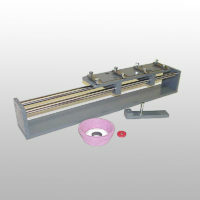 You can dress resin bond or stone wheels with this wheel dresser. 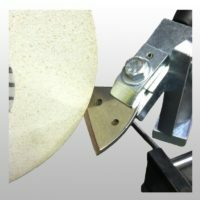 Sharpen circular blades that have a bevel on them instead of teeth. 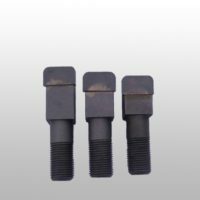 They are used in cutting rubber, plastic, and meat, etc. 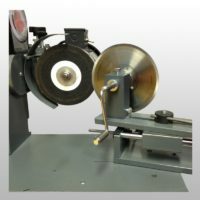 You can sharpen saw blades from 1-7/8" to 7" in diameter. 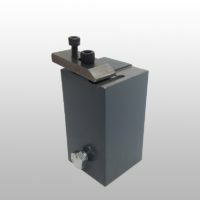 This two operation insert fixture allows you to sharpen insert mill saw teeth used in large diameter saw blades and sharpen insert shaper cutters that are used in the changeable insert shaper cutter heads. 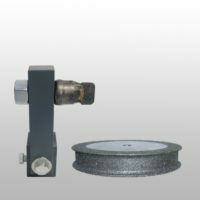 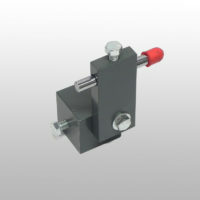 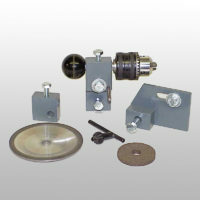 Accurately sharpen carbide or steel Adjustable or Wobble dados.